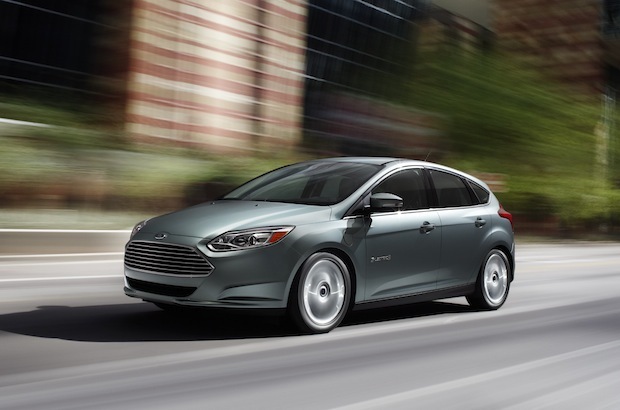 Ford has cranked the numbers on its all-new 2012 Ford Focus Electric to reveal that savings in servicing costs alone will lead to an extra $1171 in the pockets of its owners. Of course, these figures overlook the biggest vehicle running cost – fuel – and the vast savings that EVs achieve by plugging into the wall rather than filling up at a petrol station. Ford says, with its range of 160km, it will cost between $2 and $3 to fully recharge the Focus Electric, at an average cost of $0.10 per kWh. Over the 240,000km life of the vehicle, that works out to be just $3750 in electricity. Ford says the standard petrol Focus will get around 40mpg (5.88 litres/100km) on the combined cycle. If we say unleaded fuel costs an average of $1.50 per litre over the life of the vehicle, that works out to be $21,168 in fuel. That's almost equal to the purchase price of the vehicle. Ford is yet to announce the pricing of the Focus Electric, but (based on the above calculations) if it is less than $17,400 more expensive than the petrol Focus, it could be a good value proposition for those who plan to keep it for its entire life. Without a conventional piston engine or an automatic or manual transmission, Ford’s director of electrification programs and engineering, Sherif Marakby, said the Focus Electric eliminates more than two dozen mechanical components that would normally require attention during the life of the vehicle. “When you have moving parts, such as the gears in a transmission or the pistons in an engine, you have maintenance,” Mr Marakby said. He said the Focus Electric would be the most maintenance free and easiest to own vehicle Ford Motor Co has ever produced.